George Magnus’s Red Flags documents the rise of China during its present-day Communist era, focusing specifically on the current regime of Chinese Premier Xi Jingping and his growing assertiveness within the Chinese bureaucracy and on the foreign stage. China’s economic development has been remarkable in the scope of history; Magnus devotes a fair amount of coverage in explaining how that has taken place and discusses items that he sees as potential “red flags” in the coming decades. These flags could trip up China and perhaps increase instability in an already unstable world. Red Flags tackles age, currency, debt, and trade, as well as internal and external politics in explaining how the country’s economic and potentially political growth could falter. The country’s aging population may limit economic growth as the country grows old in the coming decades, which may fuel issues with debt and with its currency. Political issues and America’s current nationalism on economics likely will impact how China manages its relationships globally and may also hinder economic growth. Magnus articulates a call to action on how the global community engages with China, where cooperation can be utilized and where China can be called to task when it steps out of line. There is extensive thought given to the country on its rise on the world’s economic and now political stages. Magnus makes an effective argument in shaping concerns that could hamper China in the coming years, which in turn could have impacts on the rest of the world given how connected the global community is. 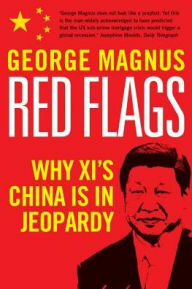 This book’s target reader is someone interested in business, geopolitics, and international trade - and Magnus’s words will be worth considering even if his purported red flags fail to flap in any headwinds. 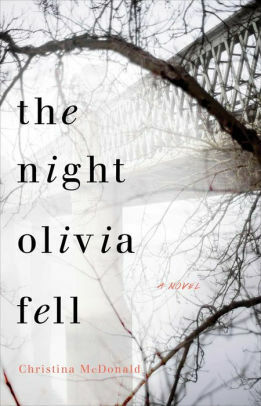 From the very beginning of The Night Olivia Fell, readers know that this is one story that will not end well. Author Christina McDonald pulls no punches in this one, offering a heartwrenching novel that's also strangely uplifting. While asleep one night, Abi Knight receives a call that every parent dreads -- her daughter Olivia has fallen from a bridge. She races to the hospital, and the doctor tells her that even though Olivia is brain dead, she must be kept alive with machines until her baby is born. Abi is shocked not only by her daughter's accident but also by the news that Olivia is pregnant. From there, McDonald takes us back and forth in time and switches narrators from Abi to Olivia until finally, we learn what really happened on the night Olivia fell. I found this one very similar to Reconstructing Amelia, but it has its own heart and voice. The writing is superb, and I couldn't wait to pick it back up in the evenings when I got home from work. As the reader, you know what's eventually coming, but, just like Abi, you find yourself hoping for a miracle. The current rise of nationalism and identity politics has driven a heated and contentious debate in both Europe and America over what it means to be a citizen of a country or a part of a larger community of nations (as is the case of individuals in Europe). 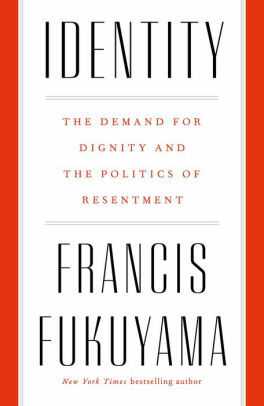 Francis Fukuyama’s Identity attempts to parse through the rise of identity politics in democracies and discusses what the effects of this current realm of politics is having on the democracy and on self-value. Fukuyama spends a fair bit of time tying in psychological and personal connections to the landscape by weaving politics with personal dignity and value, arguing that the current state of political affairs is driven by grievances that are herded in smaller and smaller tents than by greater socioeconomic issues. He ties into historical context by sharing the ebb and flow of nationalism through the centuries and how the definition of identity of one’s self has largely remained centered around language, culture, and shared values (and in history’s darker episodes, used for evil and not good). He props up the idea that increasing fragmentation, political polarization, and social media have driven a large chunk of today’s political landscape and that sensible reforms are needed from political leadership. More important, the courage to make those reforms is necessary given what the author argues that vetocracy (lobbyists and special interest groups) has prevented many needed reforms from taking place, specifically in America. For 183 pages, Identity provides an effective short-form read into Fukuyama’s thoughts on nationalism and the political landscape in the West. It is a bit simplistic in some respects, such as painting this debate in a mostly left-right context when some of the issues about immigration and economics find similar strains in both left and right politics. But it is effective in shaping the argument that reforms and political courage are needed to address the problems facing the West before things get more heated and arguably worse. 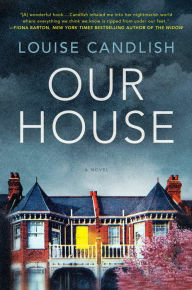 I was drawn immediately to the cover of Louise Candlish's fabulous Our House. The house itself is designed with a bright exterior and a beautiful tree outside, but wait...are those black clouds looming ominously above it? How can such an innocent-sounding title take you on such a thrilling roller coaster ride? The answer is in the little details that form such an extravagant, horrifying puzzle. One of the most exciting events in anyone's life is the purchase of a house. But what if the person living there never sold it in the first place? Such is the beginning of Our House, when Fiona Lawson comes home one day to find strangers moving into her treasured home. How can this be? Where is her husband, Bram, in all this? Candlish takes her time with piecing the puzzle together, allowing the reader to get just a tantalizing piece or two as she deftly goes back and forth in time. The story is told both through Fiona's eyes and Bram's, and Candlish wisely makes each section just a few pages. I was addicted, as were many people judging from the reviews, and found myself reading way past my bedtime. Some reviewers have said the middle bogged the story down, but I didn't feel that way at all. Candlish wrote every word for a reason, and by the time, you get to the heart-stopping conclusion, you understand exactly how the dominoes started to fall from the very first page. 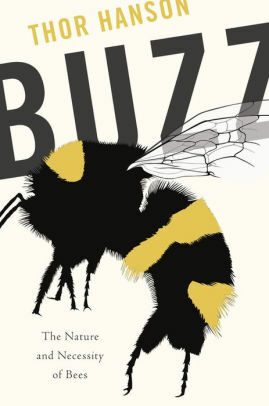 Thor Hanson’s Buzz is a fascinating read into the world of bees. The author discusses the essential role that the buzzing, stinging, and swarming insects have played over history, providing both a mechanism for plant reproduction through pollination but also food through honey. There’s a great anecdote about the role bees play in our food chain using a Big Mac and how much of it is a byproduct of some level of pollination by a bee. We won’t spoil the outcome in this review. Hanson describes the differences between bees and wasps, reminds us that not all varieties of bees sting, and shares the various habitats that each species of bee prefers. Hanson travels around parts of the Western United States, often with his young son, to share his love of bees and expertise in the field. The book also discusses the challenges that bees presently face - both from human-induced factors and other pests as well. You can tell Hanson truly enjoys his work as his passion for bees lives through each page. While not a long read, Buzz is highly educational and enjoyable. You will learn a lot about how bees operate and gain a new appreciation for them. If you are allergic to bee stings, this may be your only way to enjoy bees up close and personal. I promise you won’t be stung by anything in the book, and I also promise that if you are curious to know more about how much bees do for you, Buzz is a definitive work that you will likely want to keep in your library for years to come. As a lifelong reader, a sporadic bookseller and the writer of this blog for almost ten years, I've clearly narrowed down the genres I like to read the most. And when I say narrowed down, I mean it -- I've found that I'm drawn to mysteries that take place in old Gothic mansions and novels about bookshops. I was excited to pick up Stephanie Butland's The Lost for Words Bookshop because I thought it was going to be a simple, cozy book about a bookshop. But it was my mistake -- it's about so much more than that. As the book begins, we are introduced to Loveday Cardew. She loves working in Archie's secondhand bookshop, but she also loves nothing more than to be alone with her books. In fact, she adores books so much that she has the first line of many of them tattooed on her body. However, as the pages progress and we go back and forth through time periods, the reader comes to realize that Loveday has a past that is seriously affecting how she handles herself and her relationships. 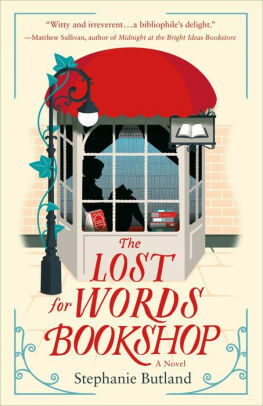 It is at this point that The Lost for Words Bookshop becomes so much more than a book about a bookshop. And all of Loveday's tattoos get a deeper meaning to them. In Loveday, Butland has developed a character that is easy to root for. As readers, we ache for her and understand why she acts the way she does, but want to shake her when she pushes away the people who love her and want to help her. Warmth, coziness, tragedy, and humor -- The Lost for Words Bookshop has it all.